When Conor McGregor returns to the Octagon at UFC 229 on Oct. 6, the world will be watching. And many will want to watch in the next best place outside of an arena - in a bar with their fellow fans. There’s no doubt that the bars and restaurants who show this fight could see double or triple the traffic of a normal UFC night. Searches were already spiking on the UFC Bar Finder more than a week ahead of the fight. A good rule of thumb is to increase your staffing by a third for each level or tier increase you believe the fight will draw over a normal event. If you usually have six servers, and you project this fight will be two tiers higher, you should have 10. Sure, you might make a mean surf and turf, but this isn’t the time to emphasize it. Pare down your menu to quick-serve items that won’t leave the kitchen running behind. The emphasis should be on large, shareable appetizers that work well for a group size that averages four or more. You’ve already scheduled extra bartenders, right? Great! Even better, open an auxiliary bar or two with a basic selection of light beer and wine. Have a couple of servers work the room with shot trays. Not only will these additions boost sales, they’ll keep wait times to a minimum. Watching the UFC is a communal experience. Push tables together to create room for bigger groups, which has the bonus effect of creating standing-room-only areas. You don’t want to turn away fans because all the seats are filled! As always, it’s completely at your discretion whether to charge a cover or not. But it’s not the only way to generate revenue. You can hold a few prime tables or bar seats and sell them as VIP seating for an extra cost. Fans can reserve these seats with the best views of the television and an upgraded level of service. 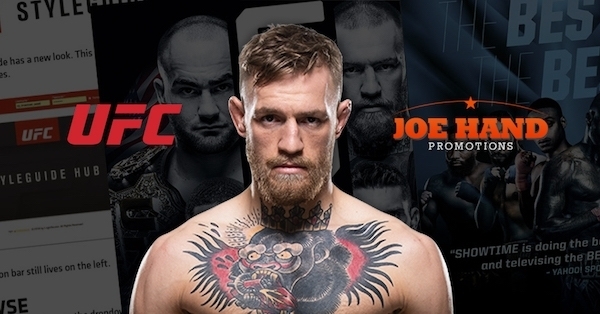 Once everyone is in your venue, it’s a great time to take down the UFC 229 posters and use the space to promote another event. UFC fans are also likely to be major fans of boxing, NASCAR, and X-Games, among other major sports such as the NFL. Any event you have that appeals to men between the ages of 21-44, this is the chance to make them aware. This event is likely to draw many first-time or rare visitors to your venue. This is a great chance to turn them into regulars! There are many ways to capture them. Hand out a coupon good for a free drink or appetizer on a non-UFC night. Raffle off a “free” happy hour that can only be reserved on a weekday. Waive a cover charge or provide a free appetizer to anyone who presents their UFC check on another night. Whatever you decide, be sure to use this a chance to collect emails. To learn more about any of these techniques, speak to one of our experienced event consultants. Click here to get in touch, or give us a call at 1-800-557-4263. Nobody has commented yet, Be the first!